If you have any education at all, you know that this movie is based on a novel about twins written back in 1845 by Alexandre Dumas. Since this is one of those hundred-plus year old books and is French, it is a classic. This means that you were assigned to read the thing in school, but didn’t, content to rely on the smart kid with atrocious breath to fill you in on the details. 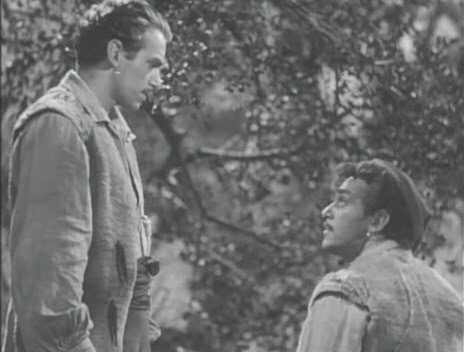 Douglas Fairbanks, Jr. is fairly engaging as far as one these old time sword movies go. Most of the movie Fairbanks runs around with both of his characters dressed exactly alike complete with the stupidest looking stocking cap since that dope from the Spin Doctors annoyed a nation with his crappy fashion sense and peppy little rock-lite songs. 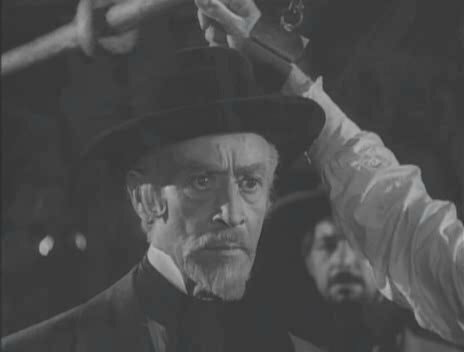 The hat, as goofy as it may be (it’s way too big for Fairbanks and just sort of hangs off his head like it died up there or something), is the worst part of a flick packed with action, intrigue (How long will he wear his hat? Will it fall off? Will the bad guy make fun of it at some point? ), romance, and lots of people getting shot and stabbed! What really made this a pleasant surprise is that Fairbanks pretty much jettisons all his gesticulating mannerisms that ruined his Sinbad the Sailor and plays things pretty straight. He’s even able to lay on some pathos (I’m not sure what that means, but I always see movie reviewers use it whenever some character is unhappy) between the brothers, making this a little more than your typical old time adventure epic. Corsica is a land of lords and castles and the Franchis are the good guys while Baron Colonna is the bad guy. You know Colonna is a bad guy when you first see him, because he’s porky and has an ugly accent. Colonna wants all the power of Corsica for himself and decides that the best way to do that is to kill off the Franchis right in the middle of Mrs. Franchi giving birth to psychic twins. Psychic twins? How could I have held out on you for so long with that one? Oh, yeah, this isn’t your great-granddaddy’s usual adventure film. Actually, only one of the twins has any kind of rad superpower and I’m not so sure that it’s any kind of power you would really want. Even though these two have a common enemy in Baron Colonna and have sworn vengeance, things go off the tracks when they meet Isabelle, a Countess from Paris that Mario knew. Mario and her hook up, but Lucien feels it and wonders if he is really in love with her too or if he is just experiencing what his brother feels. Heck, I say don’t sweat it, cause once Mario gets the Countess to give up the goods, Lucien is going to benefit and he didn’t even have to buy her dinner! The brothers have a parting of the ways over Isabelle and when she gets captured, Lucien refuses to help Mario get her back. That works out well for us, because we are treated to some fairly amusing comedic scenes between Mario and Colonna when Mario goes into deep cover as a French jewel salesman and tries to sell a necklace to Colonna for him to give to Isabelle. As might be expected with an A-Team-style scheme like this, it eventually blows up in Mario’s face and he gets imprisoned and appears to die! Lucien storms the castle and climatic sword fights follow! Fairbanks does surprisingly well here, able to convey the jealously that Lucien had for Mario and echoing the sibling rivalry that exists between a lot of brothers, especially when there is a woman involved. The movie also benefits from Akim Tamiroff’s role as the villainous Baron Colonna, striking an effective balance between dastardly dude and chubby pathetic loser that the ladies don’t want anything to do with. 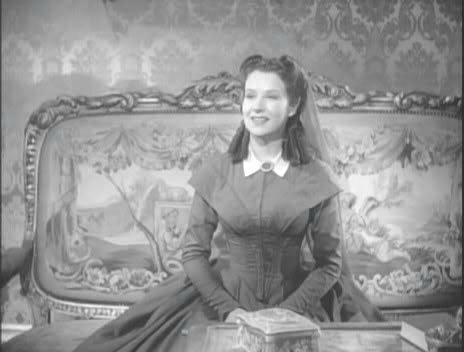 A well-realized effort that hits the mark on most of what it tries to do, with Fairbanks carrying things in the dual role. The movie smartly keeps the scenes where they have to have Mario and Lucien together to a minimum, so that you’re not distracted by shoddy visual effects (though the few times that had to resort to these shots, it wasn’t really terribly executed). The only low point in the film is that the love interest is severely underwritten and adds nothing to the story other than to give something for the brothers to feud over. Their feud would have been much more effective if Isabelle was developed in a full-blown character and not just a sketchy noblewoman. 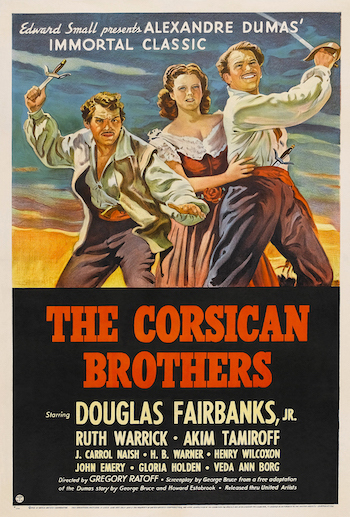 Still, The Corsican Brothers is a swashbuckling adventure film that delivers what the colorful posters promise.